Another great Lean Coffee session was had by all. We changed the time slightly this week, we went from 5:30-6:30 (instead of 6-7). That seemed to work pretty well. 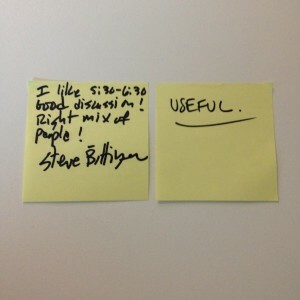 The Lean Coffee crew is experimenting with times so let’s see what we do for the next session. Anyways, we had a great time. Come join us! How do you build culture? 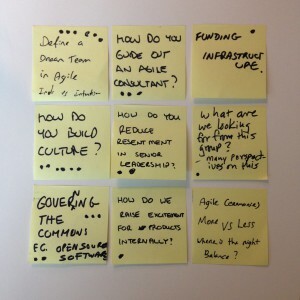 How do you ease out an agile consultant in your org? 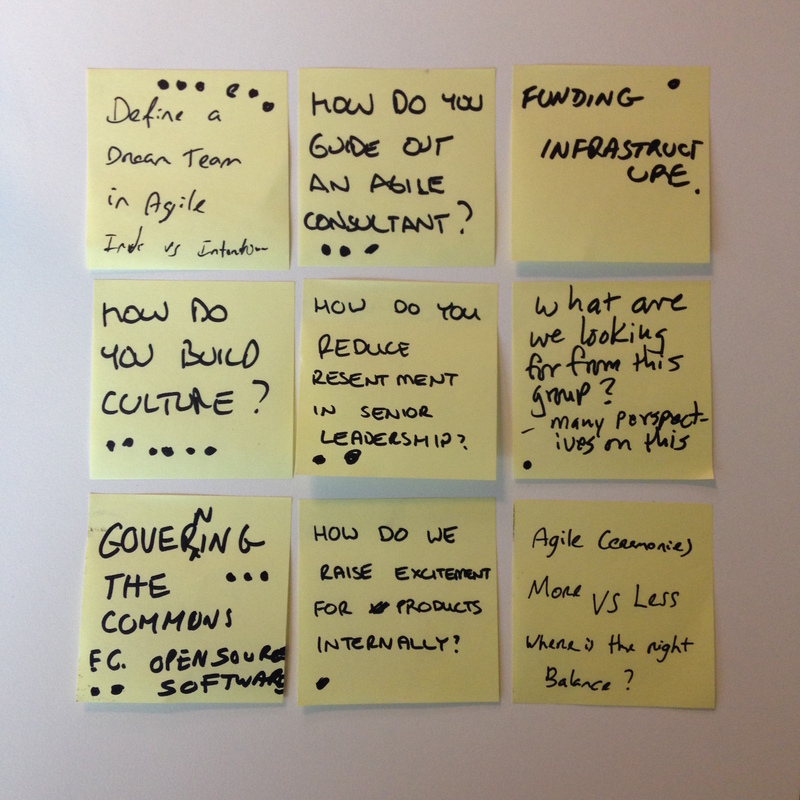 How do you reduce resentment towards senior leadership during an agile transformation? How do we raise excitement for our products internally? What are looking for from this group? Agile ceremonies, more vs. less. What is the right balance? 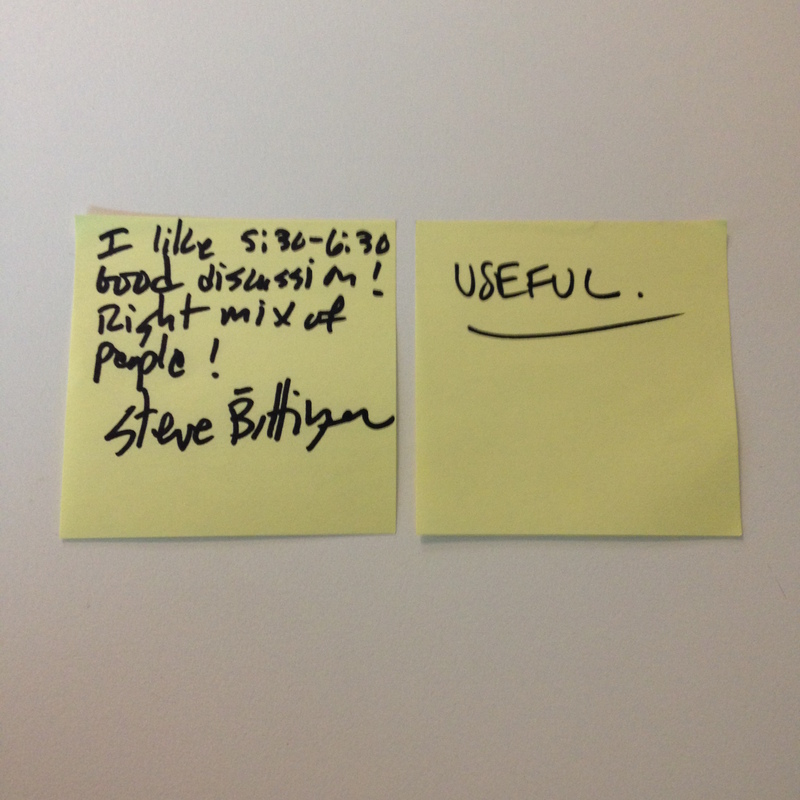 I like 5:30 to 6:30, good discussion, the right mix of people!